Nintendo Announces Mario Kart Tour for Smartphone! 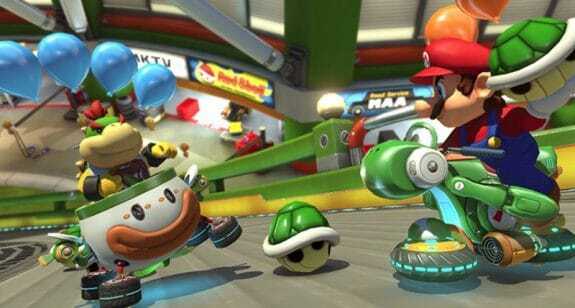 Home » Nintendo Announces Mario Kart Tour for Smartphone! If your kids are obsessed with Mario Kart like mine then it will be music to your ears that they will be able to take the game with them very soon! Mario Kart will be the next Nintendo game to be made into an app and is due to be released during the next financial year which means between April 2018 and March 2019. The popular racing game series debuted in 1992 and has evolved significantly over the last 26 years. From Mario Kart 64, Mario Kart: Super Circuit, Mario Kart Wii and the newest version Mario Kart 8 Deluxe – it’s a big hit with gamers of all ages. The news comes on the heels of an earlier announcement that Nintendo and Illumination are partnering on a movie starring Mario, that will be co-produced by Shigeru Miyamoto and Chris Meledandri! What is especially exciting is that Illumination the animation studio behind Despicable Me and Minions. Shigeru Miyamoto told reporters Thursday the script is mostly finished and it is slated to a “fun” movie. Birth Photographer Captures Incredible Hallway Birth!